Russia’s Foreign Ministry has expressed its “special concern” after Finland and Sweden stated they want closer cooperation with NATO. Both Nordic countries are not members of the alliance and Moscow says the move could destabilize the region. Russia said it is not opposed to the countries trying to solve issues concerning security and defense themselves, saying it is “undoubtedly a sovereign right of every state.” However, Moscow sees their decision as a threat aimed against Russia. “Contrary to past years, Northern European military cooperation is now positioning itself against Russia. This can undermine positive constructive cooperation,” the statement, which was published on the ministry’s website read. The ministry added it was particularly concerned with Finland and Sweden seeking closer ties to NATO. Both countries have traditionally adopted a non-aligned defensive policy. “Instead of looking for open and constructive dialogue,in trying to improvesecurity in Northern Europe and on the continent as a whole, which would include a solution to the Ukrainian crisis, a policy of confrontation is being imposed on the peoples of northern Europe,” the statement concluded. The comments from the Russian Foreign Ministry came after a joint declaration from five Nordic countries, which also included Denmark, Norway and Iceland. 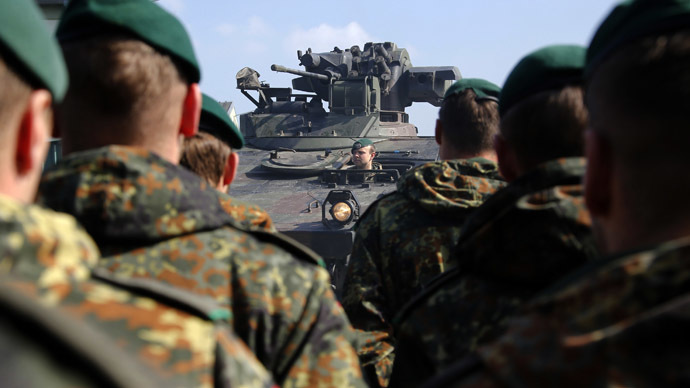 Their defense ministries said Northern Europe should be prepared to counter a possible Russian threat. "There is increasing military and intelligence activity in the Baltics and in our northern areas," the defense ministers said. "The Russian military is challenging us along our borders and there have been several border infringements in the Baltics,” the declaration published in daily Aftenposten stated. A recent poll in Finland showed many of its citizens do not want to join NATO. Only 20 percent were in favor of joining the alliance, while 40 percent were against and a third did not have an opinion. The survey was conducted by the Reservists Union, with around 1,000 people taking part. Tensions between Russia and its Nordic neighbors have been increasing in recent months. In late March, Sweden said it detected four Russian fighter jets in international airspace over the Baltic Sea.